Content marketing can have a huge impact on developing brand loyalty, driving retail sales, and opening up new opportunities in the commerce industry. As businesses across the globe clamor for attention in an increasingly crowded sphere, it can be difficult to develop a campaign that truly makes an impact. Fortunately, with the help of inspiring marketing awards, and out-of-the-box creative thinking, some brands have begun to recognize one simple truth – people love stories. Branded content marketing campaigns have begun to develop some amazing advertising experiences with storytelling as the focus. Where traditional advertising methods focused on underlining the value of a product, branded content campaigns focus on developing a connection with the audience on a deeper, more emotional level. Following, we’ll discuss some of the most impressive and appealing examples of branded content from 2015, and what they did right. 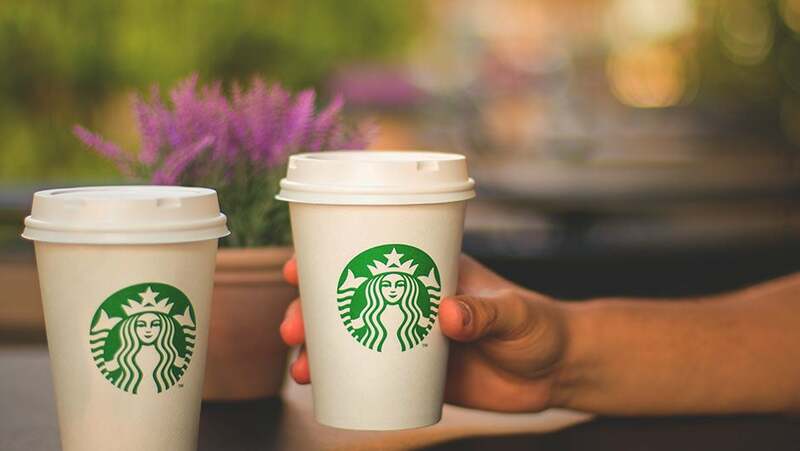 Starbucks managed to achieve something special with its first ever attempt at a branded content campaign this year, focusing on the culture and connections that exist within their coffee stores, instead of lattes and Americanos. The idea was to show customers all of the amazing things that can happen when they get together at Starbucks, and they embraced this idea in the most authentic way possible – by capturing real stories from customers. Through the development of a mini-documentary, Starbucks pulled out all of the stops to get an in-depth image of the value of getting together with friends in your favorite café. For a more diverse video, shots were taken from 59 different stores, across 28 countries, with the help of no less than 39 local film-makers, a single director, and 10 photographers. To begin the campaign, the company started by releasing a condensed 60-second clip in the U.S., before launching a takeover of the YouTube homepage on October 1st. The finished result reached its desired goal, striking an emotional chord with people throughout the world, and prompting them to connect through social media stories and hashtags. In fact, the campaign created an astonishing 91-million impressions on social media, from fans who were eager to share their experiences of how getting together with friends can create amazing experiences. On a base level, the idea behind Dell & Intel’s branded content campaign was to show their dedication to creativity, fun, and innovation. In an effort to achieve that goal, they came up with “Inside Films” – the longest-running branded content series ever created to date. While the fourth installment “What Lives Inside,” focuses on fantasy, the previous efforts considered numerous themes, from thriller concepts (Inside), to science fiction (Power Inside), and even romance (Beauty Inside). The interactive campaign developed through a partnership with Dell, Robert Stromberg and Pereira & O’Dell, leading to a four-episode series of creative pieces that premiered exclusively for Hulu customers. Directed by an Academy award-winner, the film showed incredible animation skills to bring a puppeteer’s world of creativity and imagination to life. What made the concept extra special was the fact that it called upon people to submit drawings as though they were submitted to a character within the film – an idea that solicited thousands of incredible pieces of art from fans. As a result, Pereira & O’Dell brought home six Lions from the 2015 Cannes International Creativity Festival, celebrating a video experience that brought together emotion and creativity across the globe. The well-known brand “Always,” by Procter & Gamble (P&G), made their mark on the world of branded content marketing this year, through a provocative and emotional campaign aiming to place the spotlight on the impact that puberty can have on young girls’ lives and confidence. The #LikeaGirl campaign featured Game of Thrones’ star Maisie Williams as a spokesperson for the ability of young girls throughout the world, in an advertising effort that sought to convince girls that they could achieve anything they wanted in life. Research that the company had conducted themselves discovered that many girls facing puberty felt as though they were confined into certain expected roles because of their gender. No less than 72 percent of the tens of thousands of girls that P&G surveyed revealed that they felt limited by expectations from society. As a result the #LikeaGirl campaign sought to transform the common insult “Like a girl” into a compliment and expression of female empowerment. Their video encourages girls to overcome limitations, ignore gender stereotypes, and achieve whatever they want. The campaign took the internet by storm, and went viral, obtaining coverage through everyone from TIME, to the LA Times. Elevating a concept that had already generated 12 billion impressions across the globe P&G included a social call asking viewers to share their unstoppable nature by sharing the #LikeaGirl hashtag. This celebration of female confidence obviously had an impact, as for the very first time in 2015, a new award known as the “Glass Lion” was created to celebrate a branded content campaign with the ability to challenge gender norms. OK-Go have made a name for themselves in the past as perhaps one of the most brand-friendly bands available. Not only have they helped various companies to win awards in the past for their engaging marketing experiences, but the band still manages to maintain an avid fan base and social following. Perhaps what makes OK-Go so special is their music videos – funny, inspirational, and creative pieces of media that are caught within a single take and lead to joy from millions of people across the world. The band, while using Honda UNI-CUB self-balancing unicycles, filmed the entire video for “I Won’t Let You Down”, reimagining the concept of traditional product placement. As a piece of branded content marketing, this creation is incredible, as it has managed to develop a fantastic following for Honda, without mentioning the brand name once. Throughout the entire video, Honda doesn’t get a single mention, because such an obvious piece of marketing isn’t required. As a piece of marketing, the “I Won’t Let You Down” video is exciting, appealing, and most importantly, it doesn’t feel like an advertisement. The product is a natural part of the video, but it’s not forcing the viewers’ attention or demanding consideration. As an extra something special, the band has also introduced an interactive website that allows interested viewers to see behind-the-scenes footage, interviews, and even information about the Honda UNI-CUB product itself. Do you agree with our list? We recognize that there are plenty of other great examples out there, so share your favorites in the comments below.